Veteran NBC journalist Tim Russert died today from a coronary embollism after suffering from a heart attack. Russert was recording voiceovers for Sunday’s “Meet the Press” broadcast when he collapsed. He was rushed to Sibley Memorial Hospital in Washington, where resuscitation efforts were unsuccessful, said Russert’s physician, Michael Newman, who said the cause of death was not immediately known. Watch Tom Brokaw report the tragic news. Russert had returned from Italy, where his family was celebrating the graduation of his son, Luke, from Boston College. A grilling on “Meet the Press” was often considered an essential proving ground in the career of any national politician. Russert took the helm of the 60-year-old public affairs program in 1991. “If you could pass the Tim Russert test, you could do something in this field,” said Howard Fineman, senior Washington correspondent for Newsweek magazine and a columnist for msnbc.com. 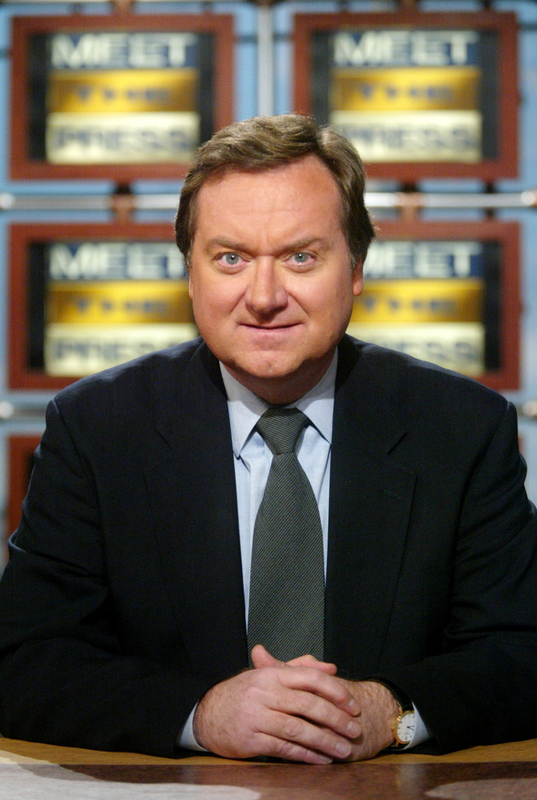 Tim Russert, NBC journalist and political heavyweight host of "Meet the Press," has died after collapsing at NBC's Washington news bureau. He was 58 years old. Television sources said Russert was recording a voice-over when he collapsed in the studio today. An ambulance rushed to the studio and a source at the network said Russert was briefly revived. But, the broadcasting lion apparently passed away either on the way or at a local Washington D.C. hospital. Former NBC anchor Tom Brokaw announced news of Russert's death at 3:39 p.m.
"The news division will not be the same without his strong, clear voice," a solemn Brokaw said. Sources said the network allowed itself to be scooped by other media outlets as it tried to contact Russert's wife Maureen and son Luke, who just graduated from Boston College. Russert had just returned from a family vacation in Italy last night.